It’s been a bumpy old road down to Intel’s 10nm die shrink, the next process node after the seemingly eternal 14nm lithography we’ve been stuck on since dinosaurs were still walking the earth. Intel has repeatedly acknowledged the problems it’s been having, claimed to have sorted them out, and promised to have 10nm product on the shelves before the end of the year (now, where have I heard that before? ), but at a recent HPC event in Houston Intel announced that it was actually ahead of where it thought it would be right now. 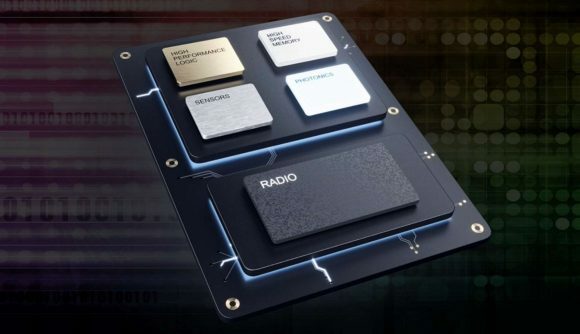 That’s almost damning itself with faint praise considering the huge delay in the outing of the new process technology, especially with AMD set to deliver its Ryzen 3000 CPUs and Navi GPUs in the second half of the year both using the 7nm node. But Trish Damkroger, VP and GM of Intel’s Data Center Group, was speaking about Intel’s vision for the future of computing architectures at this month’s Rice Oil and Gas HPC conference in Houston – the same event where AMD suggested its chiplet architecture on its own is a short-term performance fix – and suggested the 10nm silicon might be here sooner than even Intel expected. “Yes, we’ve had a hard time getting to 10nm,” says Damkroger, “I’ll be the first one to acknowledge that. It has been more challenging than we had expected. The good news is that we have figured out the fundamental issues and now we are even ahead of where we expected to be. Which is a rather interesting assertion given that we were expecting the first Ice Lake-toting laptops to arrive around the holiday period at the end of the year, and potentially desktop versions a little further into 2020. After all, we’re expecting another refresh of the 14nm desktop processors later this year under the Intel Comet Lake codename. Does that mean we’re going to be getting our hands on 10nm devices well ahead of Christmas, will we see a huge range of new products around Computex this year? Maybe. There’s even a chance that the Intel Lakefield chips, sporting the new Foveros packaging technology could come sooner than we thought.